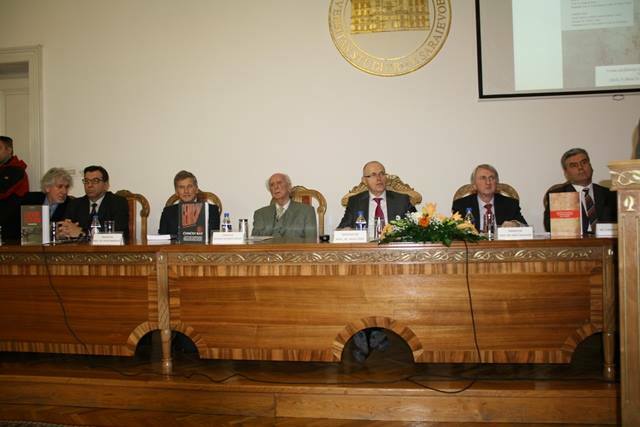 In the Grand Hall of the University of Sarajevo’s Rectorate, on Wednesday 19 February 2014, the promotion of publications by the UNSA Institute for Research of Crimes against Humanity and International Law was organized. UNSA Vice-Rector, Prof. Dr. Faruk Mekic congratulated to the Institute for Research of Crimes against Humanity and International Law and the authors on behalf of the University of Sarajevo. 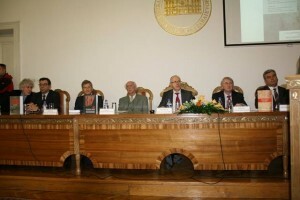 Vice-Rector Mekic emphasized that these scientific publications represent a significant contribution to the updating and development of scientific knowledge about the crimes against humanity and international law, which is in the function of constituting, promoting and developing subjects and methods of the science about genocide and its specific scientific disciplines within the social sciences and humanities. The following books were promoted: “The Crimes of Rebels in the Ljutocka Dolina” and “1201 Days under the Siege” by Dr. Mujo Begic, “The Experience of Defending Bosnia” by M.Sc . Muharem Kreso and “Cosic’s War” Book of Proceedings from the scientific and expert debate on the book “Bosnian War” by Dobrica Cosic. The promoters were Academician Muhamed Filipovic , Adil Kulenovic , M.Sc. 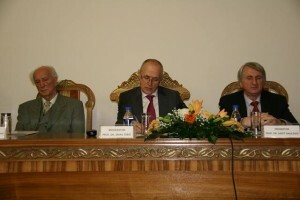 Izudin Saracevic, Prof . Dr. Fikret Becirovic, Prof . Dr. Enver Imamovic , M.Sc. Vahid Karavelic, Prof. Dr. Safet Halilovic and Prof. Dr. Esad Bajtal. 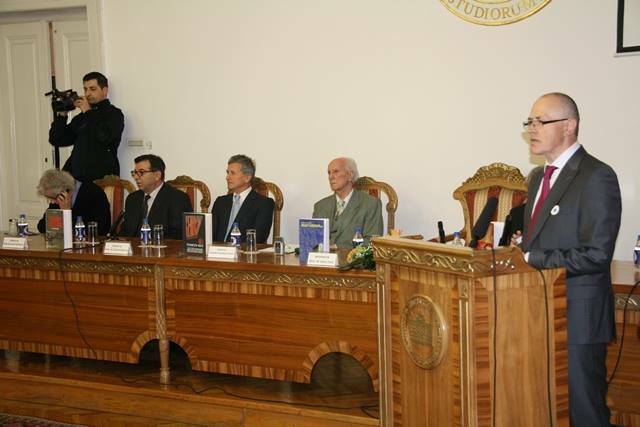 “The books that are being promoted today are presenting, among other things, the history of Bosnia and Herzegovina, primarily the political and military history, as well as the ideology, politics and practice of crimes against humanity and international law, the aggressor wars of conquesting Bosnia and Herzegovina” said Prof. Dr. Smail Cekic, UNSA Institute for Research of Crimes against Humanity and International Law Director. He also pointed out that books present the experience of defending Bosnia and Herzegovina , the anti-fascism as the fundamental inspiration and BiH’s universal value, the crime of genocide, the genocide victims and other forms of crimes against humanity and international law, the falsification of historical facts about Bosnia and Herzegovina, particularly the fact concerning the events at the end of the 20th century. Dr. Mujo Begic , author of ” “The Crimes of Rebels in the Ljutocka Dolina” and “1201 Days under the Siege” stated that his motive for studying the events from 1941 in the Kulen Vakuf region concerning Bosniaks, as stated in the first book, was that the most of the victims were women and children. Dr. Begic also researched and wrote about the siege of the Bihac region, which was a safe haven zone . “That siege lasted for 1201 days and speaks about the crimes and the dimension of crimes that had been committed in that safe haven zone” said Dr. Begic and stressed that these books are trying to preserve the memory at certain events and send a clear message that no one goes through the ordeals that Bosniaks in Bihac and Kulen Vakuf region had gone through in two previous wars.